For over 27 years TDP have been supplying environmental products that last for a very long time and are easy to maintain. We take great pride in making sure we design and manufacture our furniture range to a very high standard using the best recycled plastic lumber and top quality fixings. All of our ranges are handcrafted to order. TDP’s recycled plastic outdoor furniture requires no painting or staining, will not rot or splinter, is weatherproof and still maintains the appearance of timber. Unless marked with the screwdriver icon, all of our products are delivered fully assembled for you to just position where you want it and enjoy. We know you will not be disappointed when you purchase a bench, picnic table, garden planter or bird tables from us. 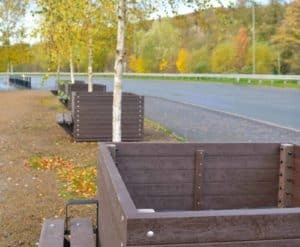 Why not have a look at our commemorative benches and personalised furniture, this is a great way to celebrate someone special that will last a lifetime.